Many are looking forward to the Year of the Dragon, with couples planning for their “dragon baby”, wedding dinner venues being booked in advance and business owner hopefuls taking the leap. Chinese restaurants are also geared up with their best CNY set menus to celebrate this occasion. At Celestial Court in Sheration Imperial Kuala Lumpur, four 9-course set menus are available and priced from RM1,288++ per table of 10. 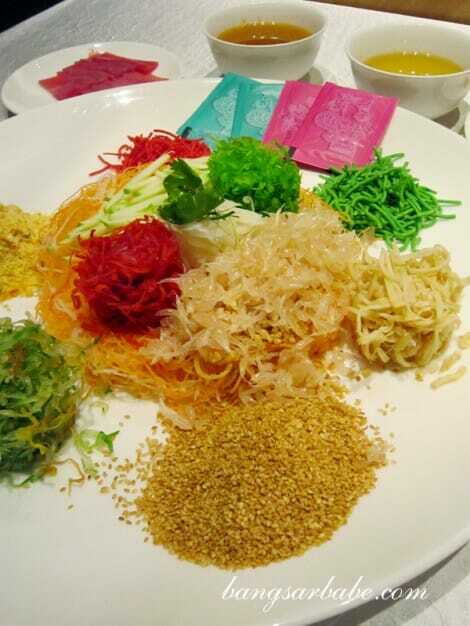 I was invited to sample the Prosperity Set Menu (RM1288++ for 10 pax) last week, where dinner started with the Yee Sang with tuna fish and Thai mango sauce. 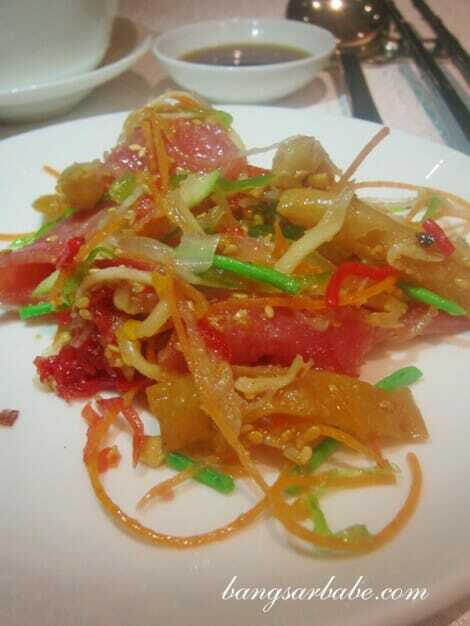 The tangy and mildly spicy mango sauce added a unique touch to the yee sang. It was a refreshing outcome, but not something I would go for. 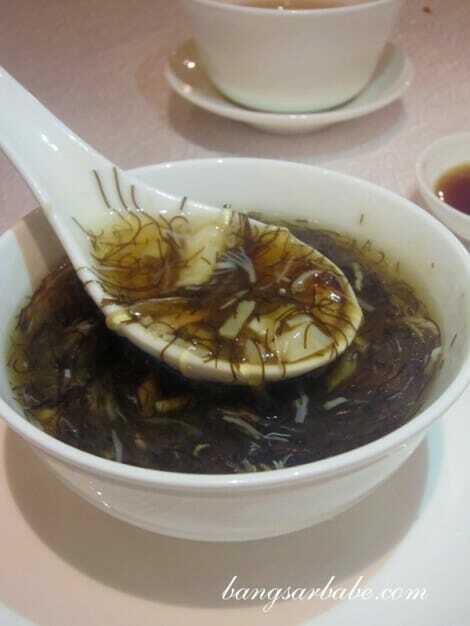 The braised shark’s fin soup comprised sea moss, dried scallop, crabmeat and delicate strands of shark’s fin. While the scallops and shredded crabmeat gave the soup a sweet touch, I didn’t fancy the presence of the sea moss. 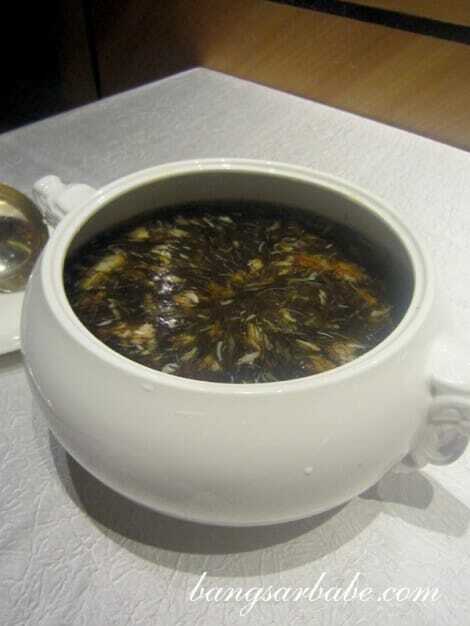 I guess I’m just accustomed to shark’s fin soup with light brown hue. Others might feel differently about this. 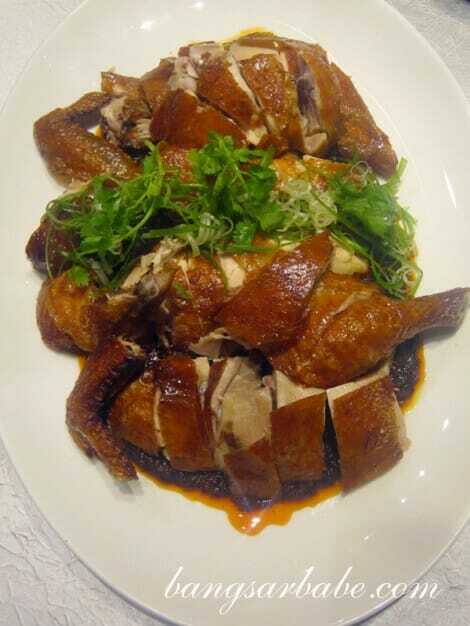 The roasted crispy chicken in Sichuan style was simple, but nicely executed. This was one of the best dishes that night partly because I was lucky to be served the chicken leg and thigh. The skin was beautifully crisp and the flesh was smooth and tender. I thought the spicy sauce tasted similar to the sambal chili, minus the belacan taste. 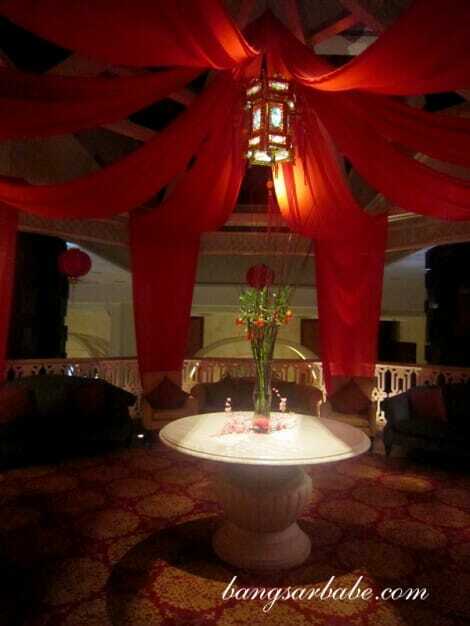 During my wedding dinner, I instructed the hotel staff to send my portion to the bridal suite. 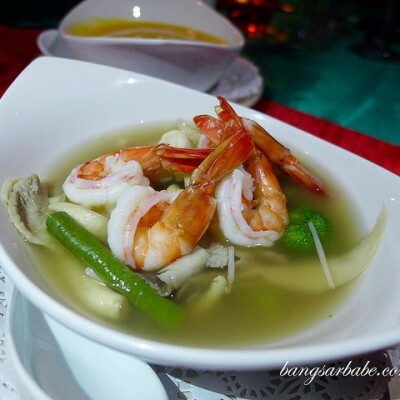 Unfortunately for me, that never made it to my tummy as one of rif’s heng tai ate my portion. 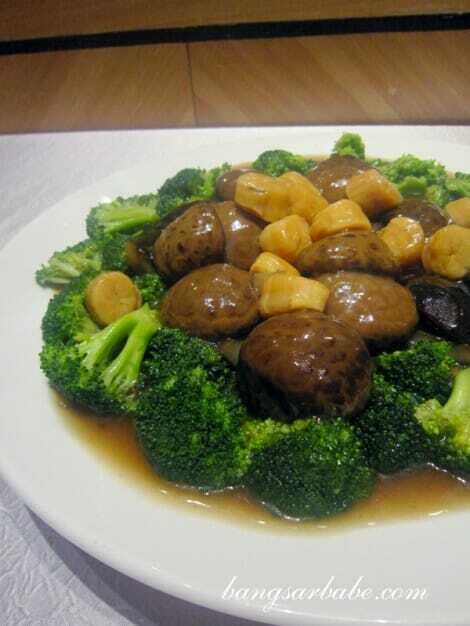 The version at Celestial Court came with bits of dried scallop, dried mushroom and broccoli. I liked that the broccoli still retained a firm and crispy texture and the sauce wasn’t overly starchy. 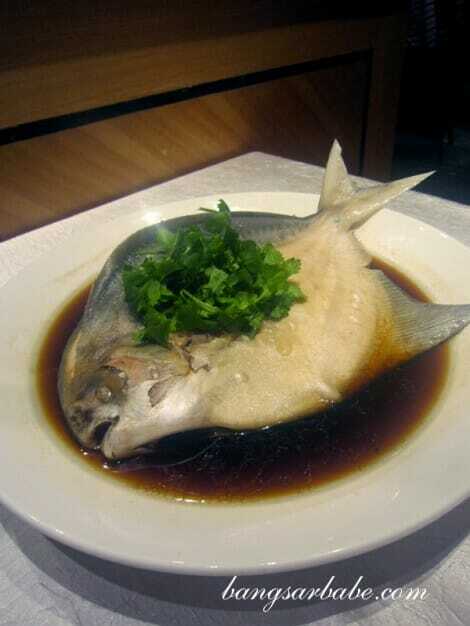 The pomfret fish, steamed with light soy sauce, was slightly overdone. I reckon it’s due to its larger size hence a longer cooking process was required. 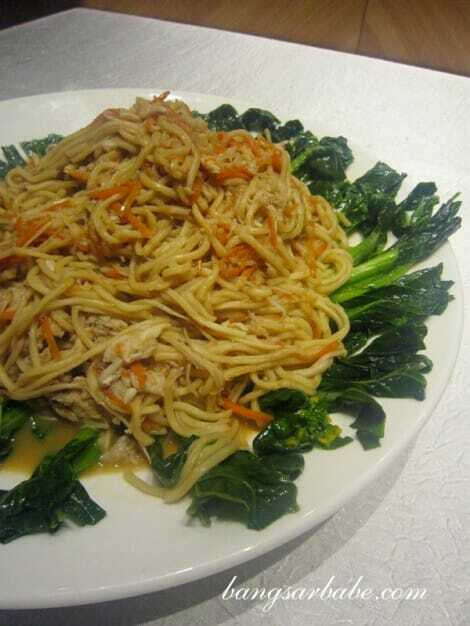 Tastewise, the sauce was lightly savoury and allowed the freshness of the fish to stand out. 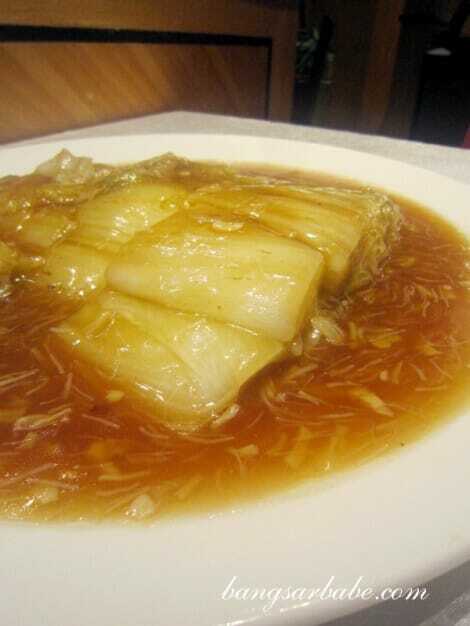 The braised Chinese cabbage with dried scallop sauce looked rather plain to be frank. 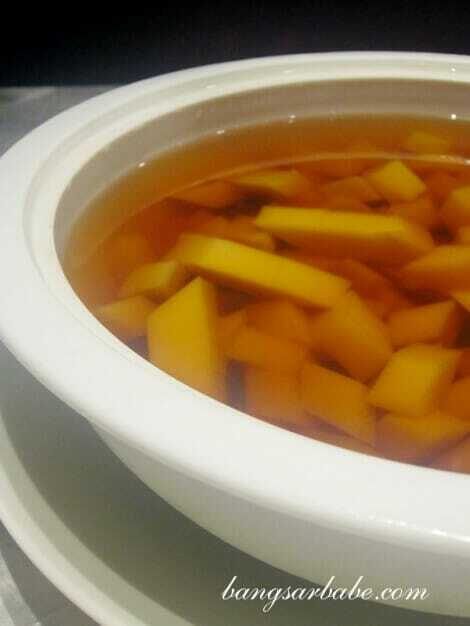 That said, the sauce tasted like a cross of wat tan hor gravy and shark’s fin soup. Flavourful, but hardly exciting. Better was the E-fu noodles, braised with golden mushrooms and dried scallop. The gravy was sweetish from the generous amount of scallop and the mushrooms gave the noodles a nice bite. Not bad, but I would have preferred the noodles to be firmer. 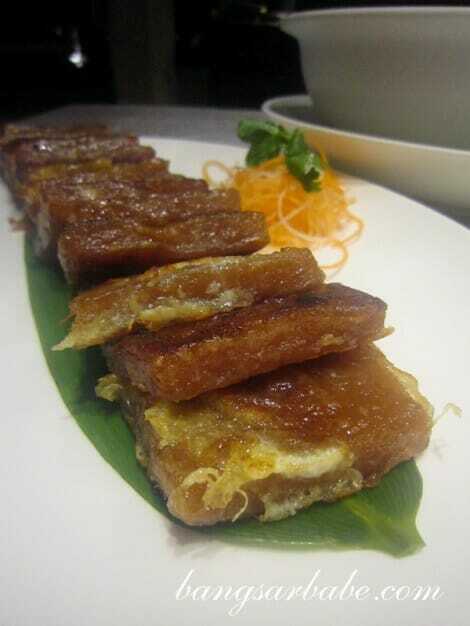 Dessert was the chilled sea coconut with almond bean curd and pan fried Chinese Nian Gao. I missed this as I had to leave early that night. Celestial Court’s Chinese New Year menus will be available from 5 January to 6 February 2012 and each set comes with a complimentary bottle of Bridgewater Mill Sauvignon Blanc. Thanks Jason, for the invite and Evelyn, for playing host. Celestial Court is open for lunch from 12noon to 2.30pm, Mondays to Saturdays. On Sundays and Public Holidays, lunch is served from 10.30am to 2.30pm. Dinner is served from 6.30pm t0o 10.30pm, daily. 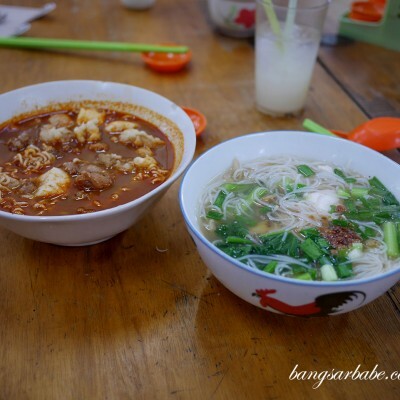 The restaurant will be closed on the first day of Chinese New Year. Verdict: The food was just alright for me, but I liked how regal the place felt. Usually I see pomfret on CNY menus a lot, but this yr most restaurants seem to be using grouper or other fish. This is the first I’ve read using pomfret. Used to love promfet a lot but now, I sort of disliked it. 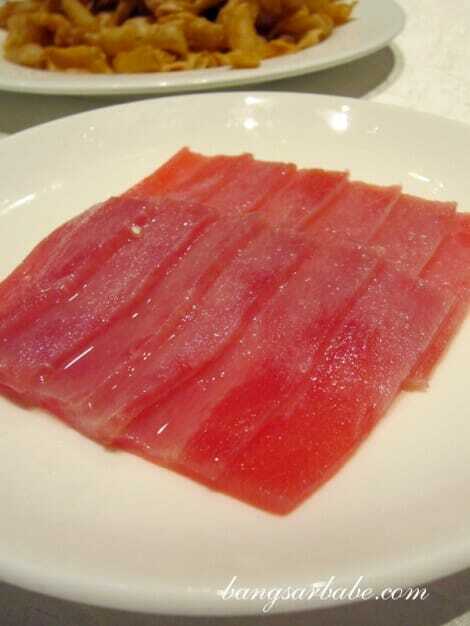 I prefer steamed salmon anytime. Haha.